The early approval period for funding requests will begin Monday, March 26, and run through Monday, April 9, and organizations should be aware of these time frames to ensure their organization receives funding. According to Carly Aller, GVSU student senate’s vice president of finance, the April 9 deadline is for organizations that want funding for travel or on-campus events between July 1 and October 1. “(This deadline) is for organizations or people that want to travel over the summer or put on programs at the very beginning of the academic year,” Aller said. “They need to have a catering quote for sure. I think that a lot of organizations know that this is the standard that we’ve kept everyone to this year. All of this funding comes from the Student Life Fund, a pool of money allocated annually by student senate specifically for the purposes of travel and on-campus events. “It’s an entirely student-led process,” Aller said. “Basically, I’m in charge of allocating that money to student organizations on campus, and it is specifically for student organizations. A lot of it pays for club sports, or traditions like Presidents' Ball, or student media—there’s a lot of different parts. 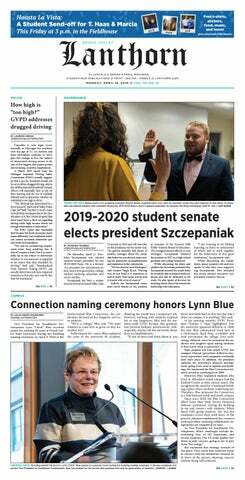 Student senate’s funding process involves two funding boards, one for appropriations and one for cultural organizations whose events typically boast a higher attendance than many others, requiring them to receive a larger portion of the money received from the GVSU Board of Trustees. Once senate allocates the money, it can then be distributed to organizations that need it. The 2018-19 year is not without some changes, as Laker Traditions will no longer handle funding for Battle of the Valleys. Student senate will take on the responsibility of paying for half of the $4,000 usually needed for the event. Not all of the power lies with the senate, however. Students who would like to have a say in organizational funding have a chance to become a student representative on a funding board. Those interested can apply in August and are encouraged to attend a board meeting or two beforehand. Funding board meetings take place in the Kirkhof Center, Room 2201, on Tuesdays at 4:30 p.m. Aller can be reached for more details via email at allerc@mail.gvu.edu.